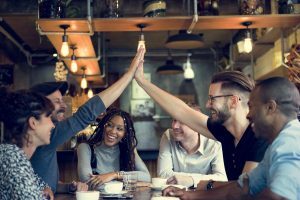 With so many blogs out there competing for thought leadership, it can be hard to create one that stands out. 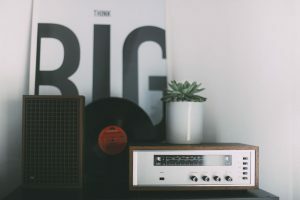 By using MindMeister and your Kindle or a similar e-book reader, you can put together high-value content that’s sure to be heard through the web noise. It all starts with finding the relevant sources you need and mapping out your content in a digital, visual way. 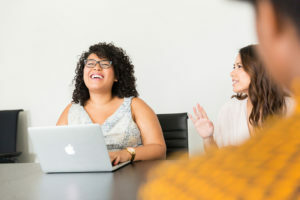 Inspired by a great article about content marketing on the FINN PR blog, we’ve put together a quick guide that will enable you to efficiently create quality content for your blog. Writing a high-value content all begins with good research. You want to look for studies, surveys, academic papers and e-books that can provide you with unique insights and accurate data. You can simply start by searching on Amazon—with one of the largest selections of e-books on the Internet, you’ll almost certainly find a number of books that cover your content there. If you’re looking into a slightly more niche topic, a good place to look for sources is Google Scholar, Google’s free search engine that indexes full text or metadata of scholarly literature. Be sure to check out their search tips to get the best results. Alternatively, you can browse the databases of universities, which often publish their own research papers, or use online libraries such as the Internet Archive or online journals such as PLOS ONE or JSTOR to search for material. Note that some of these services aren’t free, so if you’re on a budget, a good way to save money is to become a member at a library that subscribes to these databases. You’ll usually be able to visit the library website from your own home and—using your login credentials—access thousands of papers for very little money. After you’ve collected a nice selection of sources, it’s best to gather them all in one place. Your e-book reader is the perfect platform to do so because you can simply take the whole library with you and dig into the research whenever you have some time—in bed, on your commute to the office or in the doctor’s waiting room. 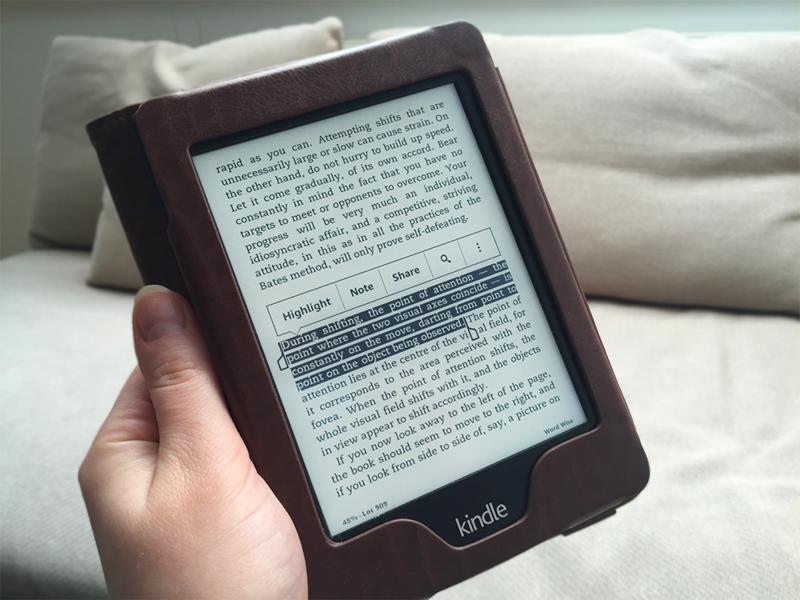 Using the Kindle’s highlighting feature you can mark important information in the text that you want to reference or quote in your article. Thoughts, questions or ideas that pop into your head while reading can also be saved, using the Note feature. All in all, your e-book reader just makes it incredibly easy to stay organized and sift through loads of information in an efficient way. 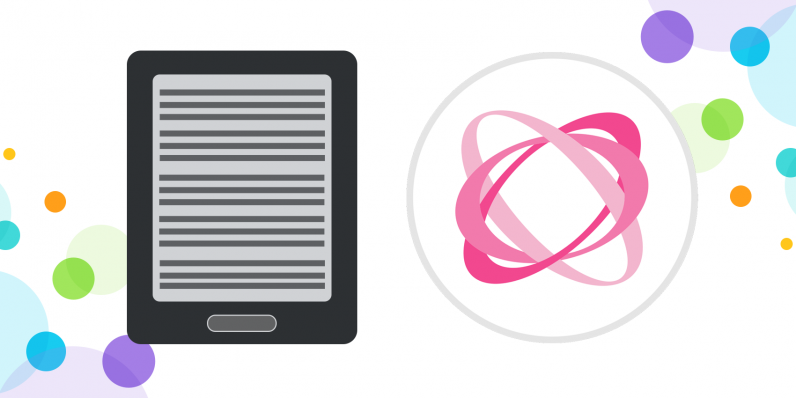 If you’ve bought e-books on Amazon, you’ll be able to download them wirelessly onto your Kindle. To transfer PDFs or Kindle files you’ve acquired elsewhere, connect your Kindle to your computer via USB and use your file browser to drag and drop the PDF onto the device. 1) To view the highlights and notes of a specific book directly on your Kindle, just open the book and tap on “Go to” in the header. In the dialog that opens, select the Notes register. 2) A collection of all your highlights and notes from all your e-books can be viewed on the Your Highlights page online. Note however that highlights you made in your PDFs are not included in this collection. 3) You can connect your Kindle to your computer via USB and copy the whole My Clippings.txt file onto your hard drive. This method seems to export highlights from PDFs as well, and you can open and read this plain text file without any special tools. Please note that some publishers create a ‘clipping limit’ for their books which is oftentimes in the range of 10-20% of the whole text. This doesn’t limit the number of highlights you can make in the e-book itself, but it does limit the amount of highlights you can view on your highlights page online or export in the text file. 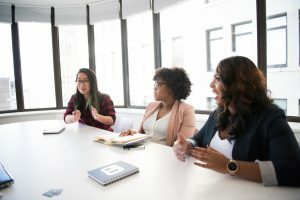 A mind map is the ideal format for this workflow because it allows you to visualize all arguments on a two-dimensional canvas, draw connections between them and freely move them around until you’ve created the perfect structure. Step 1: Copy your My Clippings.txt file onto your computer as outlined above. 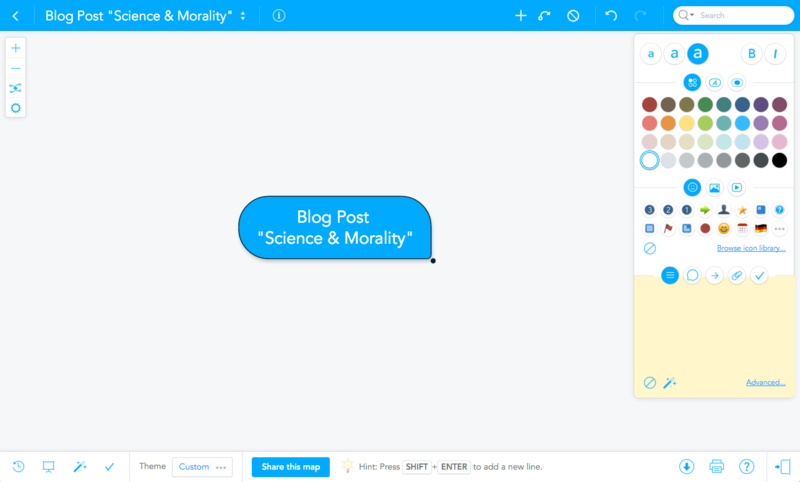 Step 2: Create a new MindMeister mind map and write the title of your blog post in the center. Step 3: Open the text file and copy-paste the highlights into the mind map, turning each individual highlight into a new topic (bubble). Paste the source of the highlight into the Notes section of the topic. This way you’ll keep the canvas nice and clean, but you’ll still be able to come back and check each argument’s source. 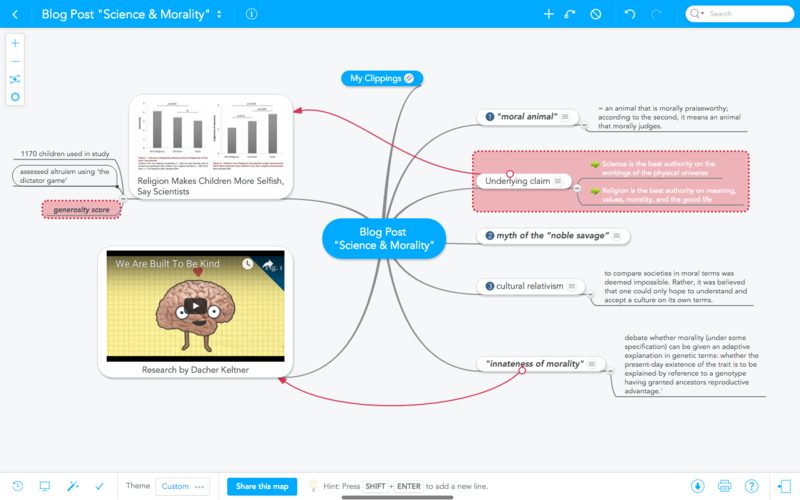 Step 4: Add other sources to your mind map, such as YouTube videos or arguments from online articles. You can simply paste the URLs of online sources onto the topics to create clickable links. Step 5: Move topics around to group related ideas. Use numbered icons to indicate the order of arguments. 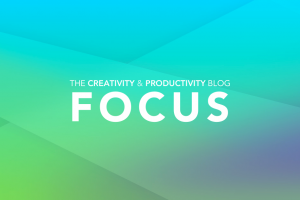 Now it’s time to convert your visual outline to a piece of high-value content blog post. There are two ways to do this. 1. 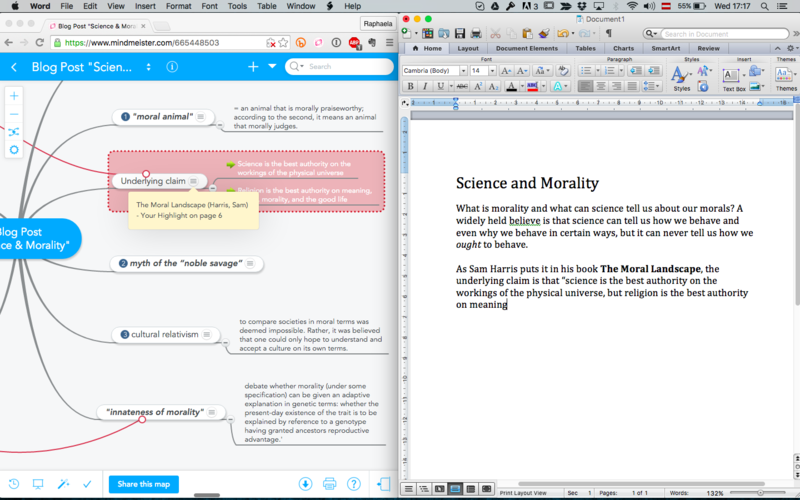 Keep the mind map open on the left side of your desktop and open a new text document next to it. This way you’ll be able to keep an eye on the map at all times while you write the article. 2. Right-click on the center topic in the map and select “Tools” > “Copy as Text” from the menu. 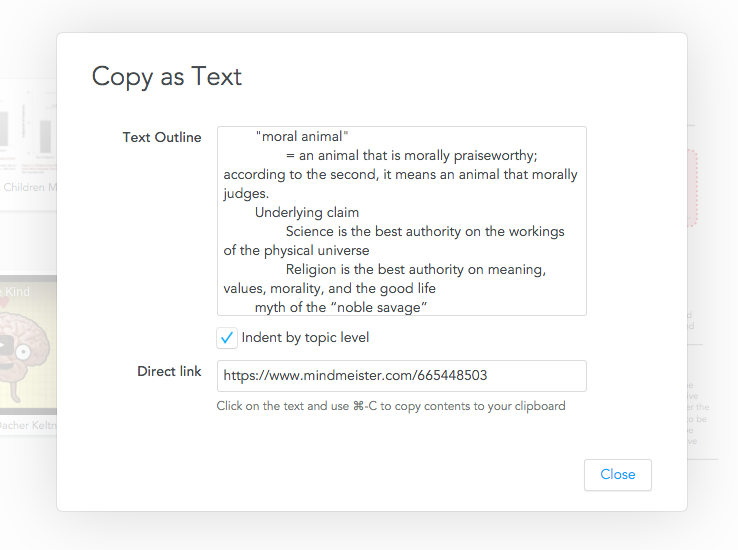 This will open a little dialog where you can copy all map contents and paste them into your text document, where you can then expand on each argument further. 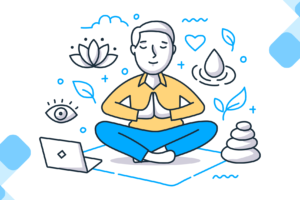 By taking advantage of your Kindle and the mind mapping technique you’ll be able to efficiently create high-value content for your blog—without getting lost in the research. This approach will keep you organized, and lead you to well-thought-out articles that keep audiences engaged.